If there is one reason to get up early in the morning and have your homework ready, it&apos;s definitely this one. 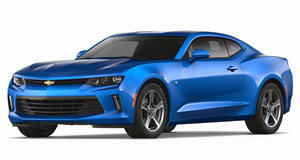 Chevrolet has decided to reward one very lucky Texas student the best prize during its annual car giveaway. The initial concept was part of a way Chevrolet decided to keep students more motivated. The students would earn raffle tickets based on their grade performance and attendance and the winner would receive a Camaro.